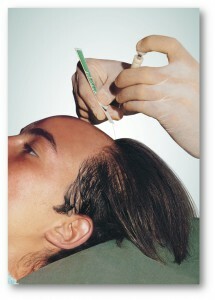 Medicap ® Italy, is a UNI EN ISO 13485 Certified Company specialised in production of Biocompatible Artificial Hair and Implant Instruments, classified as Medical devices and Certified by CE mark 0373 and used for the Solution or as Remedy of Female and Male alopecia (baldness) at any age and stage. More than 20 years of Clinical and Scientific Research on Artificial Fibres approved for medical use, allowed us to produce the first Biocompatible Artificial Hair – Biofibre ® and develop our exclusive Biofibre Hair Implant ® , a soft, simple and effective Outpatient Procedure of cosmetic surgery that enables to quickly thicken baldness areas in the scalp or increase hair density in case of thinning hair with an Immediate and safe Aesthetic Result . Thanks to the excellent results achieved as good hair implant technique for baldness solution the Biofibre Hair Implant System by Medicap keeps on receiving important Ministries of Health certifications and the recognition by many Medical worldwide Associations as reputable hair restoration technique. Qualification trainings for Physicians on Biofibre Hair Implant System, our Anti-Aging medical procedure for alopecia (baldness) remedy.